If you need assistance while on holiday in Angola or are an expat then the embassy can assist you with consular assistance such as registering a birth, registering a death or assist you if you are involved in an accident. They can also assist you with notary services and provide you with a list of embassy approved attorneys in Angola if you need legal assistance. The contact details for the US embassy in Angola is listed below. 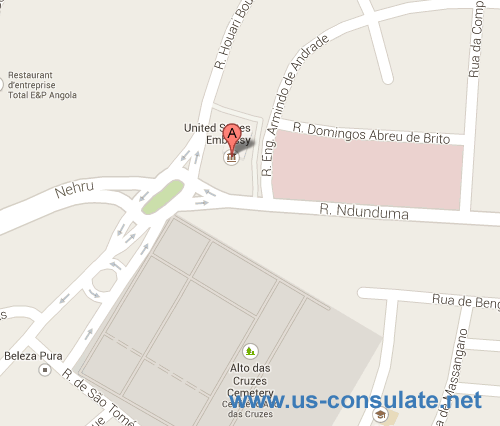 We have also added a map to the US embassy in Angola and their operating hours. Monday, Tuesday and Thursday from 2:00 p.m. to 4:30 p.m.
Visa Services are provided by appointments only. For Public Inquiries call 222-641-000 from 1:00 p.m. to 2:30 p.m. or send an email to consularluanda@state.gov . Non-Immigrant Visas are for travelers who would like to visit, work or study for a temporary period in the United States. 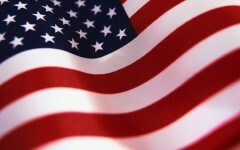 Immigrant Visas are for applicants who wish to enter the United States and reside there permanently.